Sober in the City is the irreverent perspective of artist and writer Kristen Jongen. SIC unapologetically examines creative life through alucid lens. As a gen-xing, single artist, KJ talks to creatives, athletes, and thought leaders about living an reexamined life and having the courage to change. Trying out this Sober gig? Is this your first holiday season without party favors? Hear Kristen's holiday tips for staying out of the sauce and having meaningful moments. 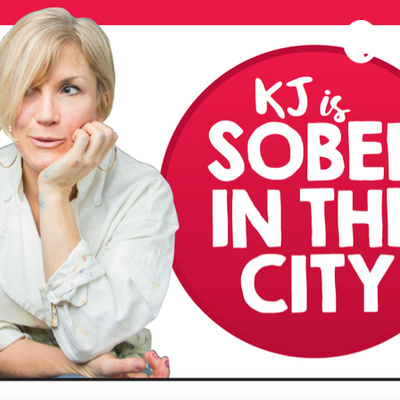 KJ talks about the purpose of Sober in the City. Why we gather here, and why you should care. Swing coach guru Adam Schriber talks golf, God and playing with Donald Trump. Here, Adam speaks frankly about the precarious business of life on the PGA tour. Coach to Anthony KIM, Sam Rider and other phenoms, Adam is frequently questioned by the likes of Michael Jordan, and yes, thee Tiger Woods. Adam is straight forward and known for his irreverent candor. Kristen Italy’s to NFL football guru Merril Hoge about his new book Brainwashed. Together, they chat about brain health , addiction, obesity and the plot to destroy football! Artist and writer Kristen Jongen introduces her new podcast about living a recovered life in the city that never sleeps.